Its almost 2 months now since I started working. Alhamdulillah it is better than I expected. It is challenging but I always say the challenges are like a barrier that you have to go over. NOT a stopping wall. To be honest, I love my job. It is bizarre that other people have so much opinion in my life decision. I have many occasion whereby others told me.. or usually IMPLY that ooohhh. its better than not having a job at all. But I learn to ignore things. I mean, you can never expect people to stahp talking right? I am trying not to feel so personally attacked by all these remarks. It won't get me anywhere. Please, I am just beginning to transitioning into a new phase of life. I still have so many questions. About my future, about the world, and even about myself. I am still trying to figure out what kind of person I am. I am still trying to love myself because if I don't, nobody will. I am still trying not to beat myself up every single time I messed up. The world need to spread more love, happiness and positivity. Until next time, keep me in your prayers. I just need to say this..
No, I was reminded of my feelings for you. But, somehow it build my soul. somewhere, in the most secluded corner of your mind. It was just buried under the surface. And today, I was reminded of what a person I am. It's okay. I am okay. It was just never mean to be. Why do I love you too deep? 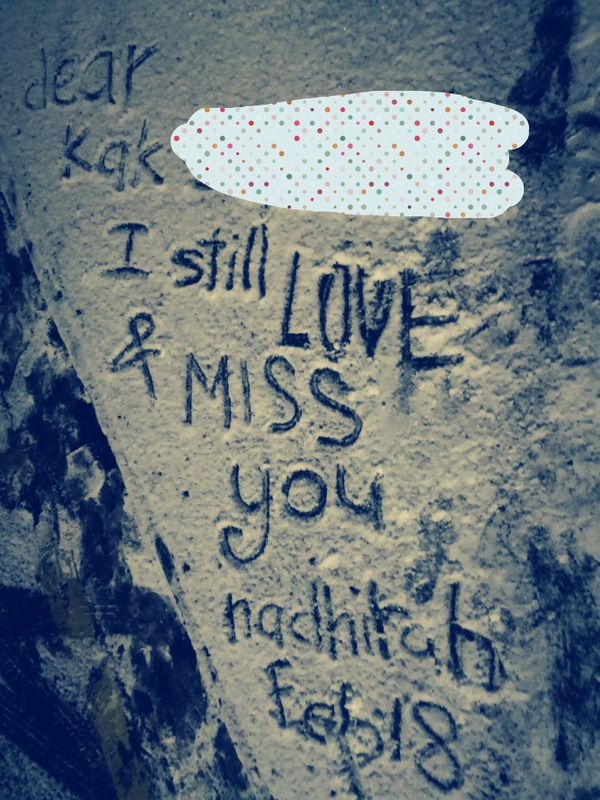 Why do I care so much about you even until now? 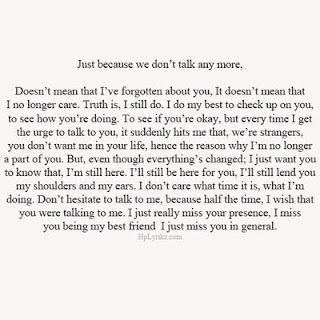 Why can't I just forget you? Because we were both scarred and scared. 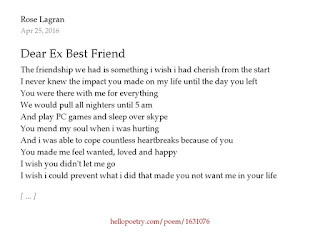 We left each other. We decided one day we are going to be only in the memories of each other. In the past. Not in the present nor the future. We decided that. I still cry when thinking about you. And you sometimes still coming back in my dream. I wish the day I met you was the day I walked far far away from you. 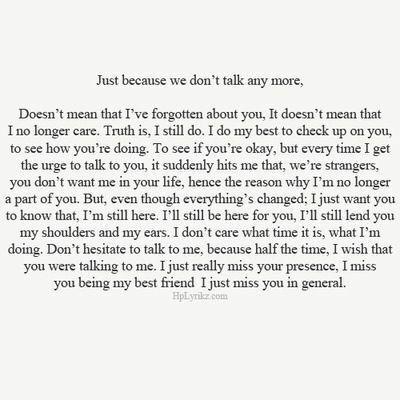 I wish I never get to be close to you and hurt you and felt hurt by the thing you did which weren't meant to hurt me. I wonder why our story was written this way. 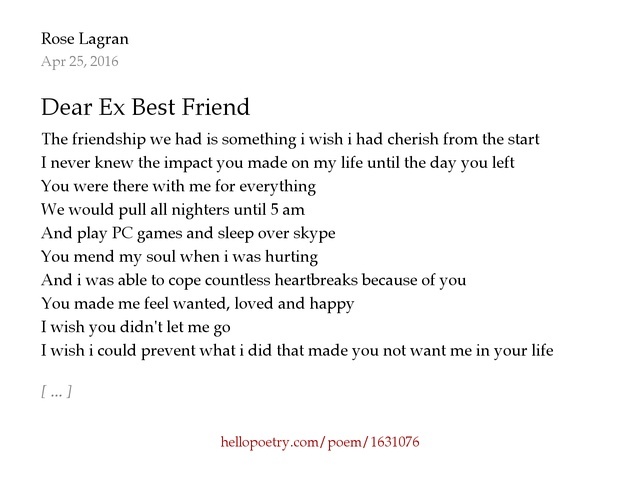 Why it is possible to end a friendship? I have suffered from heartache. I didnt blame you. It was all written. 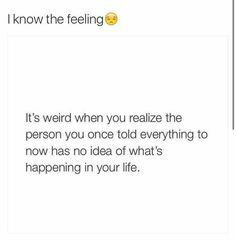 This is one of the most painful thing that has happened in my life. I freaking hurt so bad and I hated it. I know I am going to come out stronger. I know I will. But I am not sure if I really wanted this feeling to go away. It is the only thing that reminds me I can love someone so deeply, care for someone so much and it reminds me I still have that little bit of humanity left in my gut. I only hated the pain its causing me. I guess I just have to deal with it. Dear aching heart, you will heal. 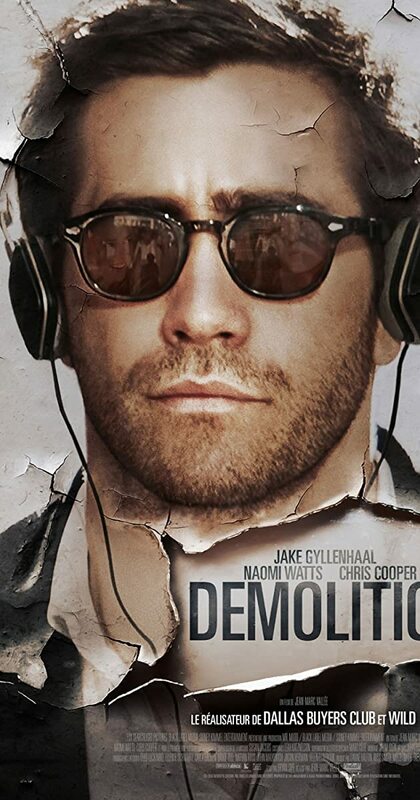 Demolition was released on 2015. It is a story about Davis's (Jake Gyllenhaal) post-traumatic stress disorder. Davis was portrayed as a typical rich bloke. He is working in "finance", and got married to a girl whose daddy got plenty of cash although that wasn't the reason he married her. He barely noticed anything and took everything for granted especially his wife's love. I don't think he didn't love her. I think he just didn't care enough before she died. Before everything was too late. I have no expectation whatsoever on this movie. When I watched it for the first time it didn't occur to me that it is so emotionally powerful. I first thought it is a comedy-drama because that was what was written somewhere on the internet and I was looking for a feel-good movie. An uplifting one. I am not sure if this movie is uplifting but it did make me feel good, in a strange way. At first I was a little confused about what Davis was doing. He was trying to act like everything was normal and nothing had happened. He came to the office, I assume, the next day his wife died. Then it occurred to me he was actually completely blocking his emotion out. He did not trust himself to feel such pain. He was not willing to let himself cry, or even talk about his feeling and what had happened. He was empty. His soul was not in his body. His mind wandered everywhere trying to grasp every inch of the universe. His mind was clearly was not in working order at all. He became friends with a stranger, Karen, who smoke cannabis and her son, Chris. He confided in Karen about everything and trusted her to sort of navigate his life because he seemed like he really didn't know where he should be going or where he wanted to go. He is simply a lost adult overwhelmed by the world. He also told Karen he didn't love Julia. Davis then wanted to "know what is inside" everything. He tried to fix the refrigerator that his wife told him to fix prior to her death. He eventually demolished the refrigerator and subsequently many other things including his office's bathroom door (because they were creaking), his computer, a cappuccino machine and he even tear his house down with a bulldozer he got from eBay. Interestingly, Gyllenhaal was able to make Davis appear as not an angry man. Yes, he sure destroyed a couple of hundred thousands worth of stuff, but he wasn't turning into the Hulk. He felt tremendous pain in his heart that destroying something, anything, made him feel good. As if he wanted to crush his inside. I feel the whole reason why he did what he did, was that he was trying to "know what is inside" himself. He probably felt he wanted to know what he was actually feeling. He is scouring through his inside but he just couldn't be honest with himself. He was in so much pain and because he is not used to communicating his feeling, he is having a hard time to express his emotion. His heart was hurt so bad that I think even the thought of his wife will make the cut go deeper. His take on that was to just, block it all out, in the hope that his pain will eventually go. Except it didn't. Davis once stepped on a three-inched nail and after screaming to death out of pain from his foot, he was cheering the injury shortly after. He finally felt "physical" pain. I think what happened was that his physical pain was greater than what he was feeling inside him and for that split second he actually felt what was going inside him couldn't be the worse thing to happen. The last scene of Davis meeting his father in law, Phil, just broke my heart. He finally came to term with his feeling and allow himself to feel his inside. He said to Phil he love Julia and I personally think it was after going through those bizarre experiences of feelings and emotions that he couldn't name them, that he finally understands he had loved Julia so much. His eyebrow drooped and you can see pools of tears in his eyes when he finally came to his senses. I find it interesting that this story just let Davis walk through his feeling and let him reconcile without any "second hit" on him. Just the perfect way to tell someone somewhere curled up on his bed mourning for his/her life that "time will heal". Jake Gyllenhaal's performance was outstanding. He truly immersed himself in the life of Davis. I couldn't think of anyone who could perform it better than him. And can we take a moment to appreciate how good his facial expression and body gesture was? That deserves a standing ovation. 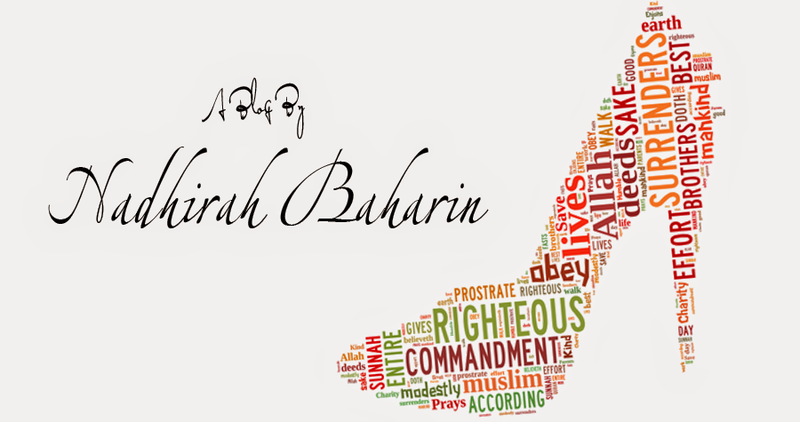 NadhirahBaharin. Awesome Inc. theme. Powered by Blogger.